In late September, I traveled to Armenia. I was immersed in a rich history and culture for about a week. We flew from Los Angeles to Yerevan, Armenia. We had a stop in Moscow and the travel time took about 15 hours (12 hours to Moscow and almost another 3 hour flight to Yerevan). 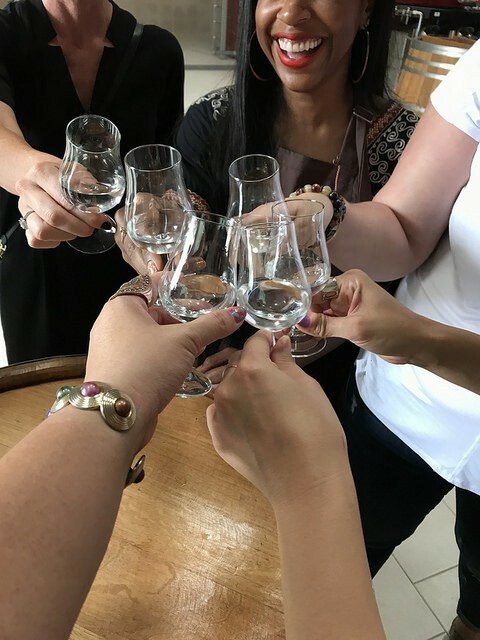 Yerevan Brandy Company invited us to check out the Ararat brandy operations which included harvesting of grapes, the distillery where the wine is distilled into an eau di vie and also the main factory where the eaux di vie are aged and blended. Unlike whisky which by law states the youngest of the blends on age statements, the Ararat brandy puts the oldest blend’s age on the label. In a way, this makes a lot more sense! I often wonder how old some of the distillates are. While we were there, we also tasted a single cask so this particular brandy is not a blend. Sadly, there is a very limited number of bottles and the single cask from this year won’t be imported. We can dream though for a future one. 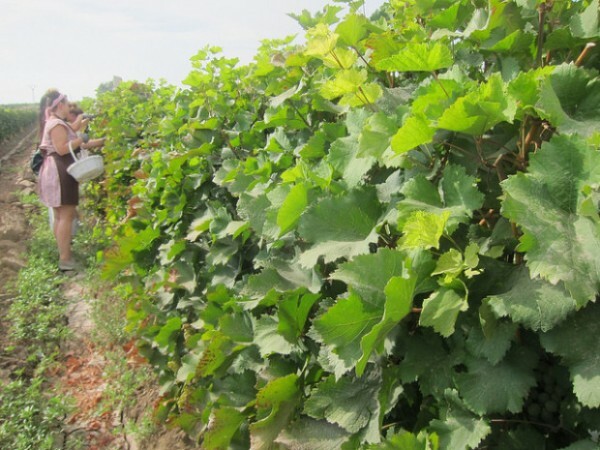 We headed towards Armavir to harvest grapes. Armavir was less than an hour’s ride from Yerevan. 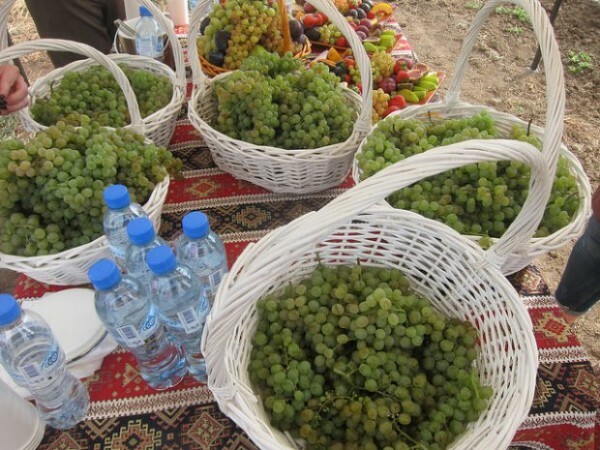 Armenia is sunny 300 days of the year and some of the best fruit and vegetables I ever had was in Armenia. I was jetlagged but happy. The company started in the late 1880s and in the early 1900s, it was sold to Russians who produced not only brandy (called cognac then) but champagnes (sparkling wines). The company survived the revolution and became state run. 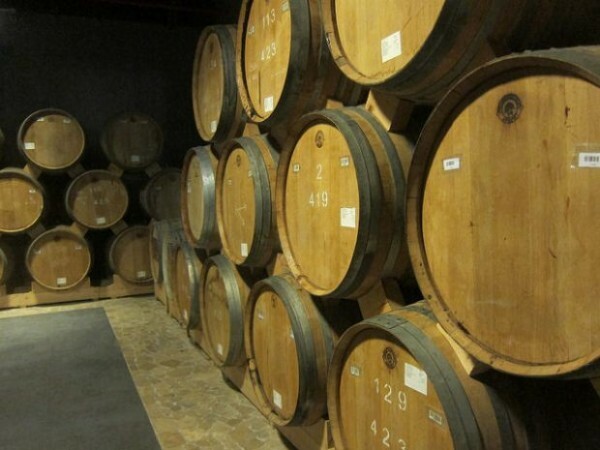 After Armenia went independent about 25 years ago, one of the first Soviet run factories to be sold to a private company was in fact the Yerevan Brandy Company. It is now owned by the French company, Pernod Ricard. 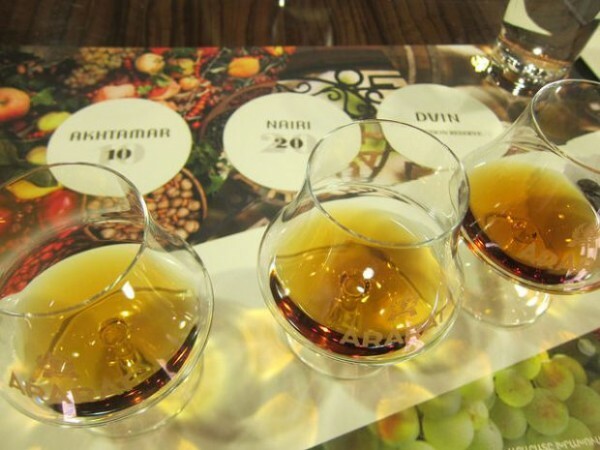 Ararat brandy uses many grape varietals from all over the country but in this case, we went to Armavir, Armenia. 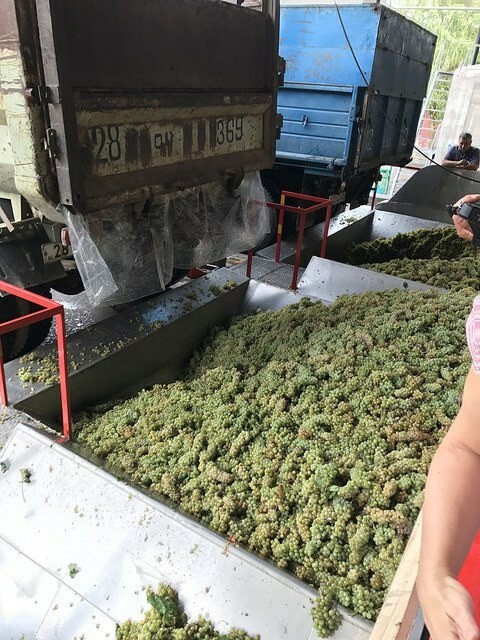 We gathered up our baskets of grapes and headed to the factory. I picked all these myself. Just kidding. As mentioned, brandy is distilled from wine which is then called eau di vie. 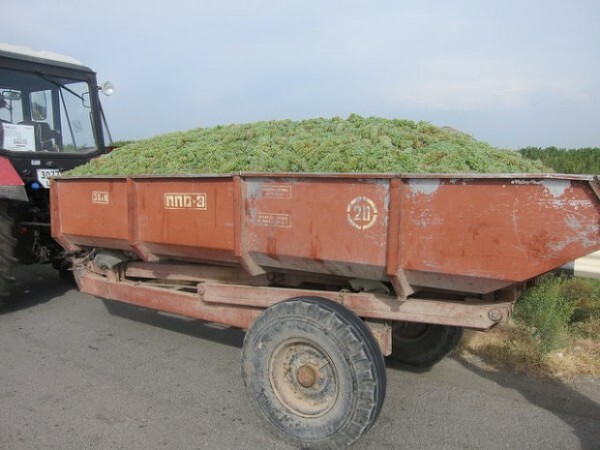 At the factory, we poured the bunches of grapes we gathered along with that day’s harvest. I watched the grapes being crushed and imagined in some distant future, someone will enjoy the fruits of my labor. I loved tasting the eau di vie from the barrel. I also tasting brandy from 1978 from the barrel. Mm. The tour at the Yerevan Brandy Company is quite popular. 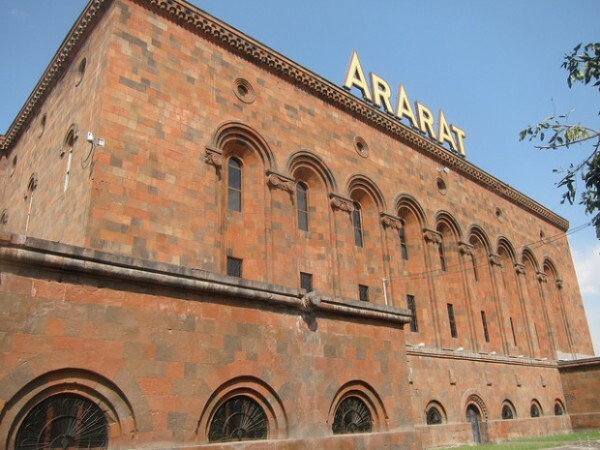 Their main product, Ararat brandy, is mostly sold to Russia and Eastern Europe but they do export to the US. After a few days of action-packed tours, we came back to the factory for breakfast. 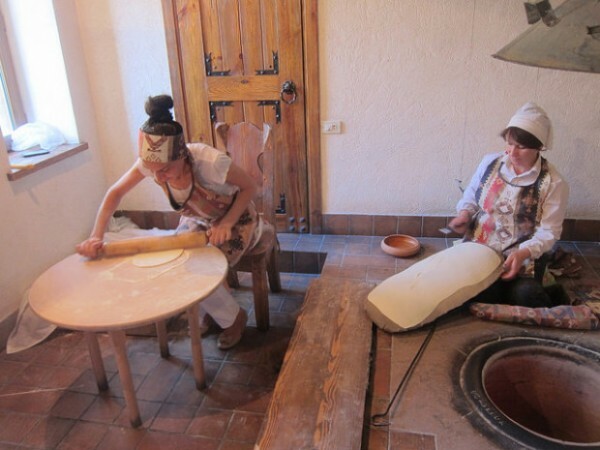 Lavash is the national beloved bread. Here at the factory, the fire are old barrel staves that used to age the brandy. Lavash is simply flour and water. 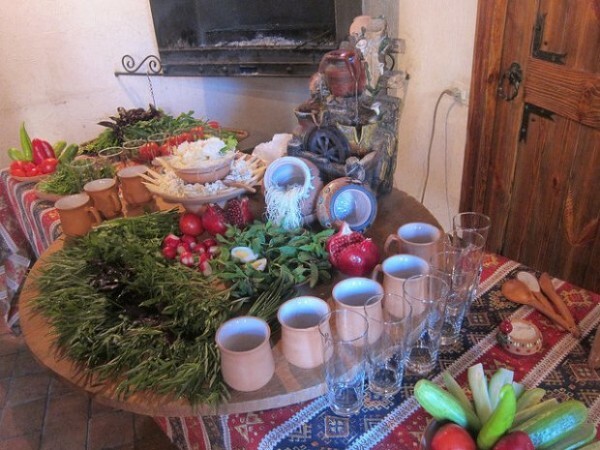 I was getting to be a pro at Armenian food. You can customize what I was calling an Armenian burrito any way you want. I put a little bit of yogurt, lots of herbs, cheese, hard boiled eggs in mine. Imagine my surprise when we actually had a full breakfast after that with many more savory dishes. I don’t regret eating my bursting-at-the-seams lavash package though! I learned that week how much brandy is beloved. And wine. In fact, I never really saw any vodka drinks despite the Russian influence. That’s fine with me because I was ready to become a brandy advocate. I’m already fairly familiar with brandy and cognac from France. I love eaux di vie. And I would put Ararat 10 (Akhtamar) up against a cognac. We also tasted the Nairi which is 20 years old and the Dvin (non-age statement). I could not decide which of those two was my favorite. I really liked both. I feel it would depend on my mood. Perhaps Nairi on Tuesday and Dvin on Thursday? 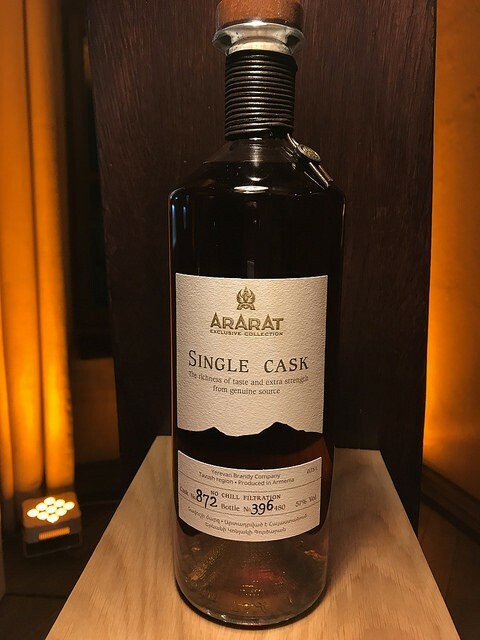 Here in the States, you’ll find younger Ararat expressions including the 3 Stars and 5 Stars (3 and 5-year brandies) which would be great for mixing. Maybe an Ararat sidecar? One night we went to the launch party of the Single Cask. YBC has been looking ahead and this is one of their innovations. Hopefully there will be enough of the next Single Cask to export to the US in the future. The angel share in Armenia is fairly high as it’s a hot country (remember I said they’re sunny 300 days of the year?). Luckily the weather was warm but not humid when we were in Armenia. I would recommend going in May or late September/ early October if you want to take a trip to… is it Eastern Europe? Is it Asia? Is it the Middle East? No, it’s Armenia and it’s lovely.